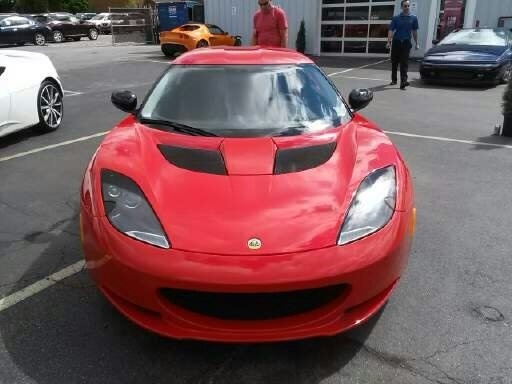 CarGurus has 106 nationwide Evora listings starting at $38,500. Lotus has spent the last few years rolling on uncertain foundations, a predicament the storied manufacturer is not used to. For a make so focused on sophisticated suspensions and structural integrity, not knowing where you stand can cause some understandable shivers. Good news then, as a fresh influx of cash has stemmed the tide of rumor and innuendo, if not revived the previous plan for new Lotus models in the immediate future. After a million-pound investment from Lotus owners DRB-Hicom, issues at the troubled manufacturer have been secured enough to stimulate a £10.4m grant from the UK Regional Growth Fund to develop a plant in Norfolk. Previous to this turnaround, a 5-year plan developed by previous CEO Danny Bahar had been scrapped by the new owners after a rocky 2012. This decision meant the demise of such anticipated returns as an updated Esprit, and that Lotus’ stable would be restrained to the 3 models they’re currently producing. That said, this was a result of a 2012 that saw only 80 cars roll off Lotus lines, and 2013 has seen the company produce that many vehicles every 2 weeks. 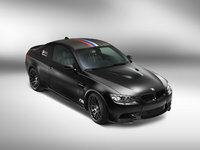 Unfortunately the Sports Racer doesn’t really live up to the name. 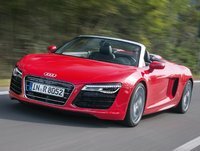 Sure, it offers some optional features as standard and adds some aesthetic enhancements in the form of black trim and unique stitching on the inside, but this is hardly a racer. The Sports Pack is the big improvement, which offers a higher redline, more aggressive throttle response, cross-drilled brake rotors, titanium exhaust tips, a rear diffuser and Lotus’ Dynamic Performance Management system. For the extra technology, the Sports racer gets the upgraded media system with its 7-inch touchscreen and DVD player, too. You can get all that in the Evora S, and even in the naturally aspirated Base version if you like. And the price between the two is hard to ignore, as you can come close to doubling the cost of entry depending on how agreeable you are when the options list is slapped on the table in front of you. Thankfully, even in Base form the Evora is an inspiring machine. Saddled with the 3.5-liter Camry's V6 the little 2+2 can make use of its 276 hp and 258 lb-ft of torque to jump to 60 in just 4.8 seconds, if you have the presence of mind and clarity of vision to choose the 6-speed manual. Going with the IPS automatic will lose you 0.2 seconds on the trip. To really get away from any Toyota reverberations, go with the Evora S, which straps a supercharger to the same engine to boost power output to an intimidating 345 hp and 295 lb-ft of torque. That’ll cut the 60 sprint down to 4.3 seconds with the manual and 4.5 with the automatic. And because the Evora is so light, it can still manage 28 mpg highway in base form. In fact, the same dichotomy of performance vs. practicality can be found in the suspension, which allows both precision driving at racing speeds and a modicum of comfort even over trashed city streets. Look for the same dual personality in a Porsche, and you’ll be calling for a chiropractor. Not that the Lotus doesn’t have its drawbacks. The rear seat is a joke and should be deleted for the optional parcel shelf. Rear visibility is worse and a familiar reminder of old Lotus standbys like the original Europa. Finally, engaging as the Evora is, it’s no touring vehicle. For canyon carving, there are few vehicles out there I’d choose over any Lotus offering. For longer distances, the lack of a dead pedal alone is enough to steer me away. It was shaky for a while, but things seem to have calmed down for the British/Malaysian marque. The light is breaking over the Lotus dawn, and the new day looks quite promising. The red skies of the most recent nights have given way to driver’s delight, and Lotus is still going strong. 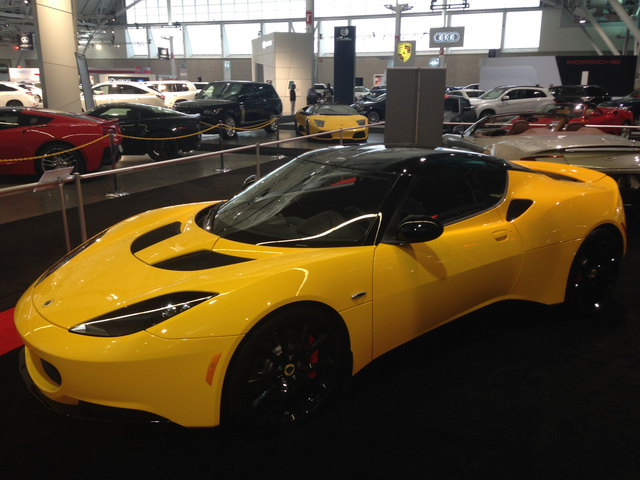 What's your take on the 2014 Lotus Evora? Have you driven a 2014 Lotus Evora?